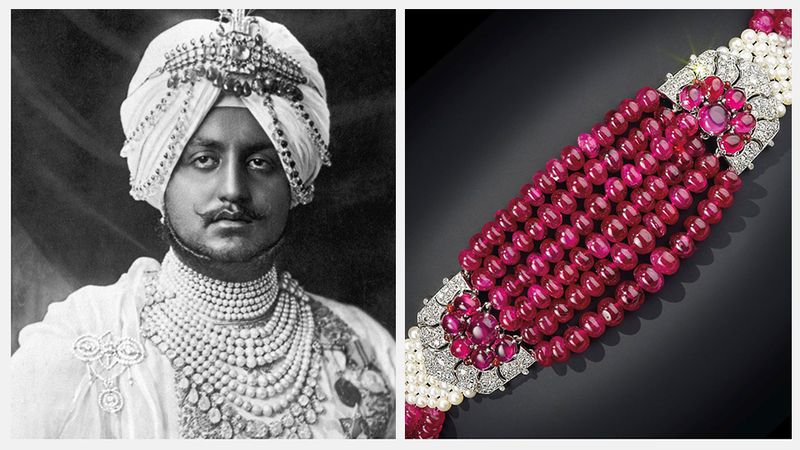 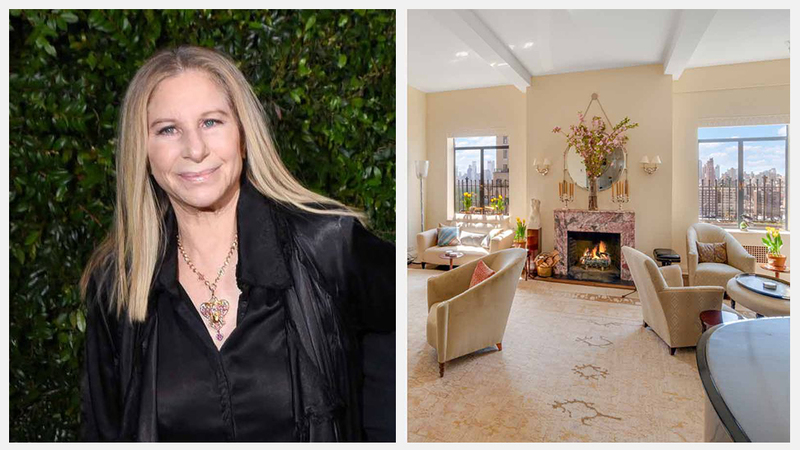 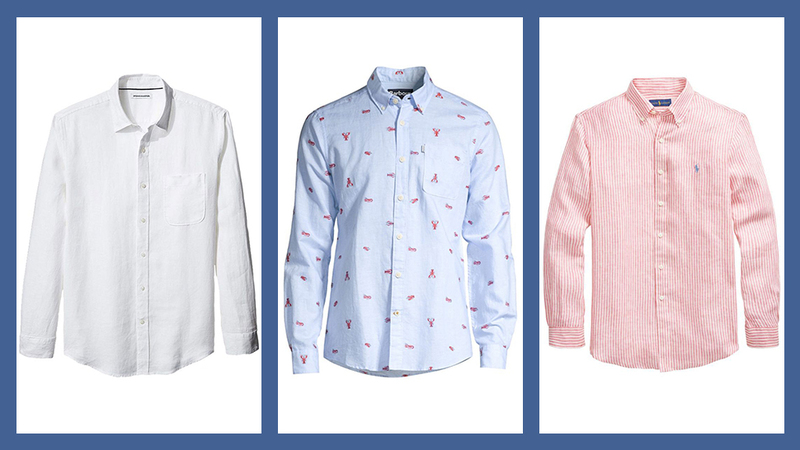 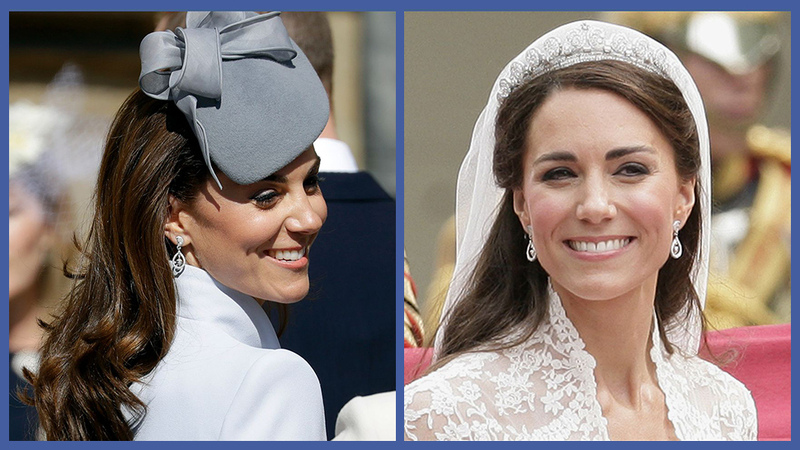 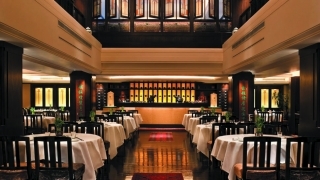 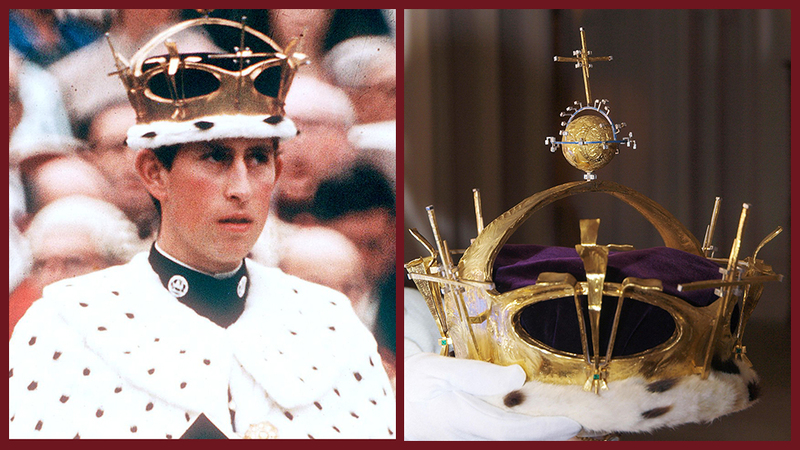 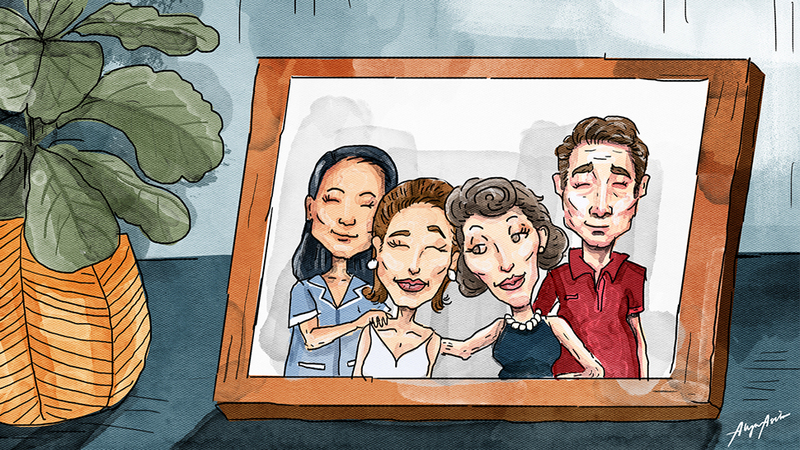 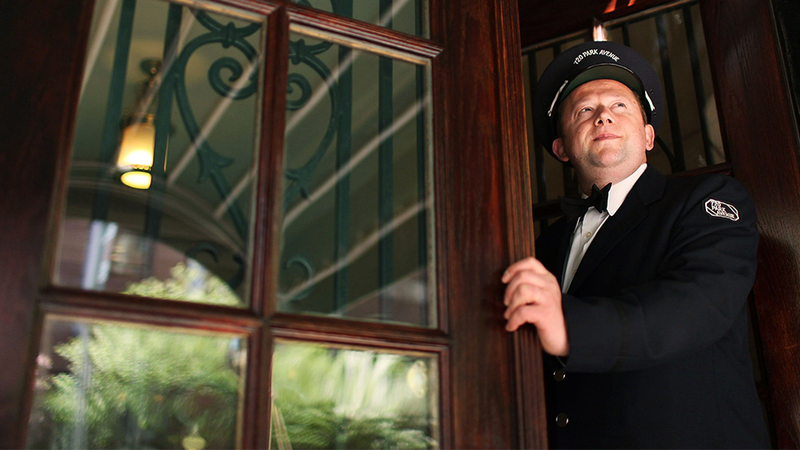 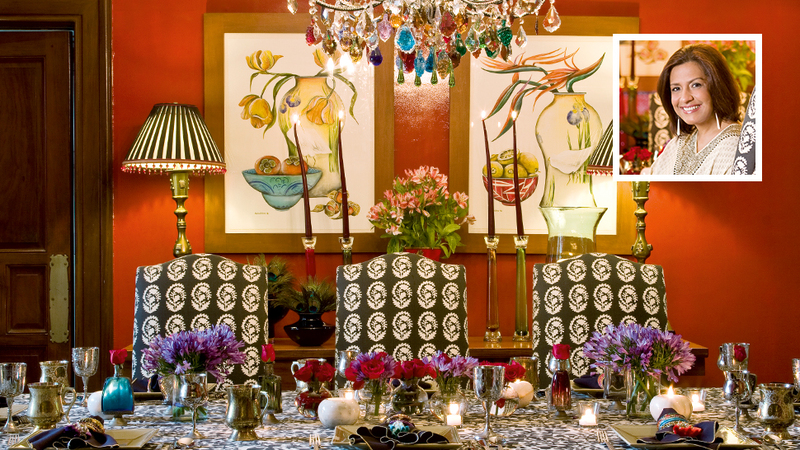 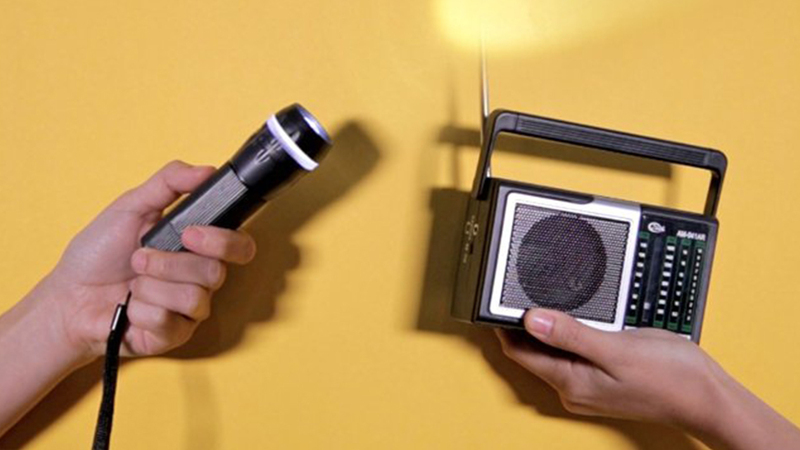 A look back at the era of elegance. 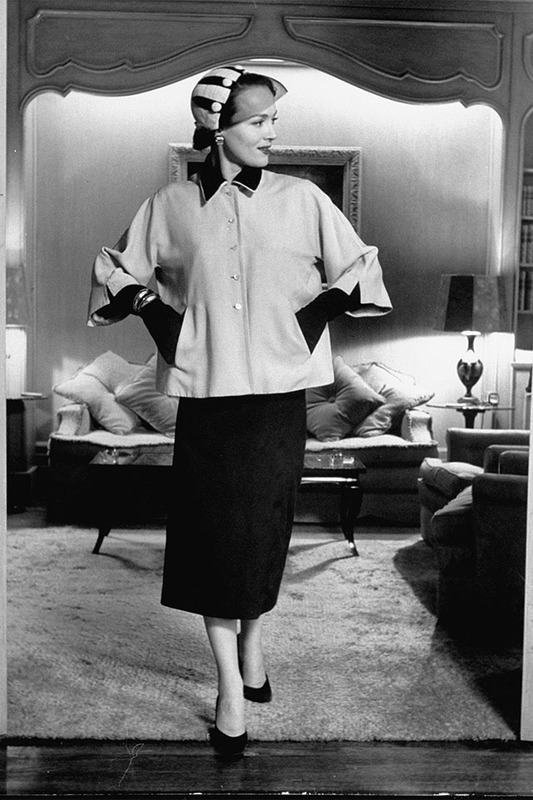 Following Christian Dior's launch of the "New Look" collection in 1947, women entered a decade of complete elegance and glamour in the '50s. 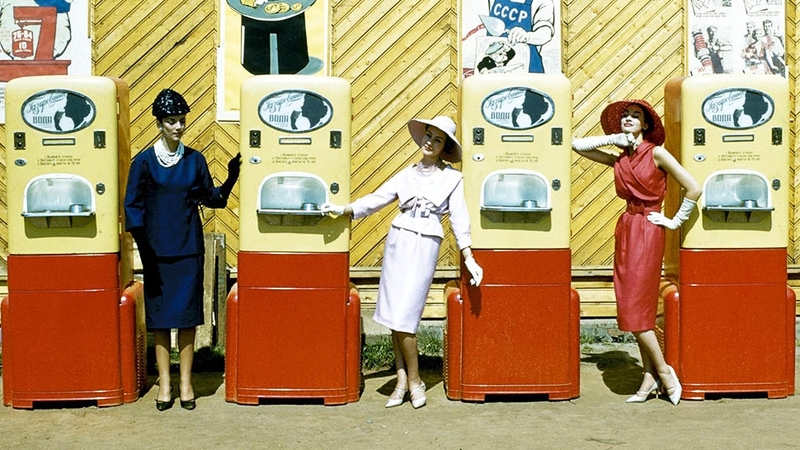 From the billowing skirts to little white gloves and ladylike bags, click through to relive the best 1950s fashion trends in photos. 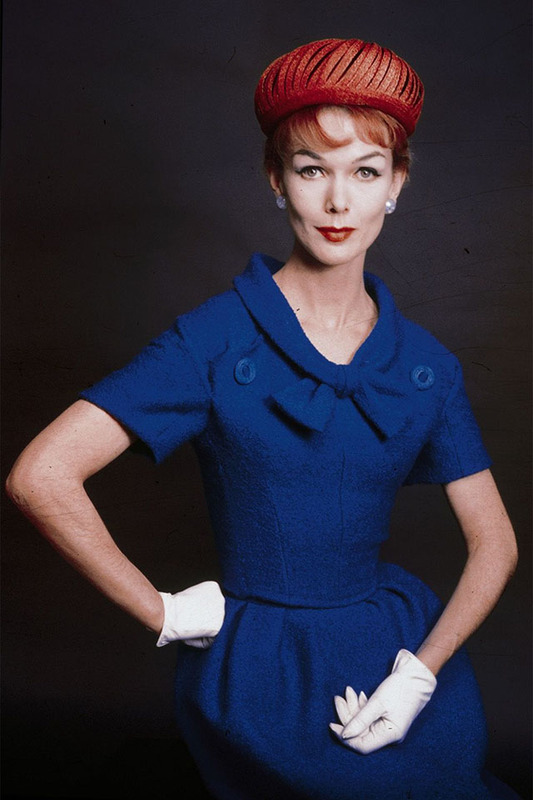 A model wearing a blue dress, red hat, and white gloves. 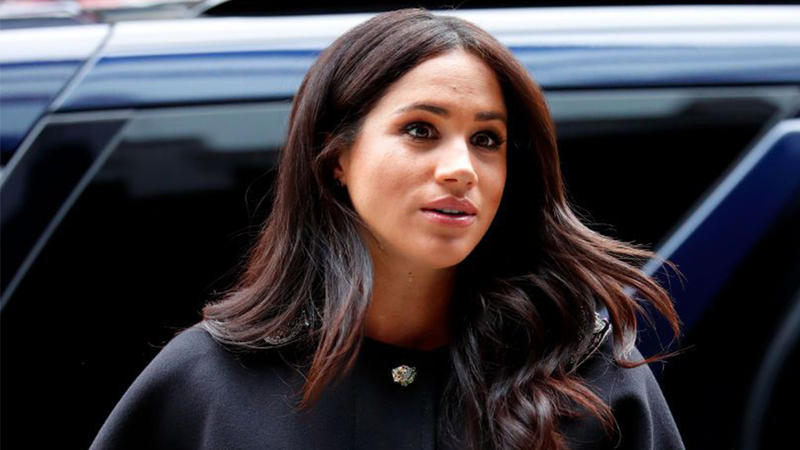 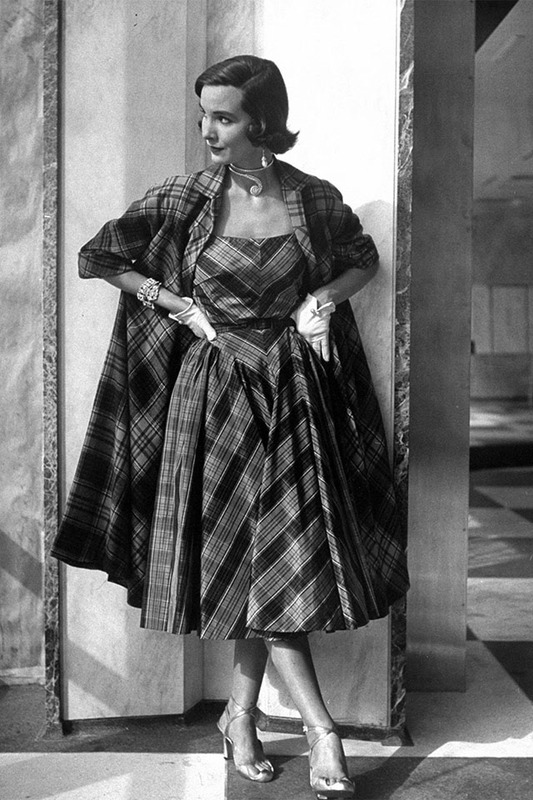 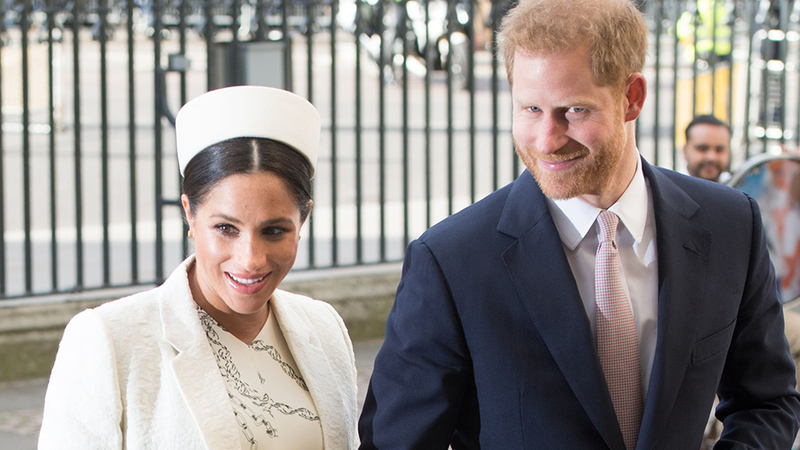 A young woman spotted in a print dress with a detachable cape. 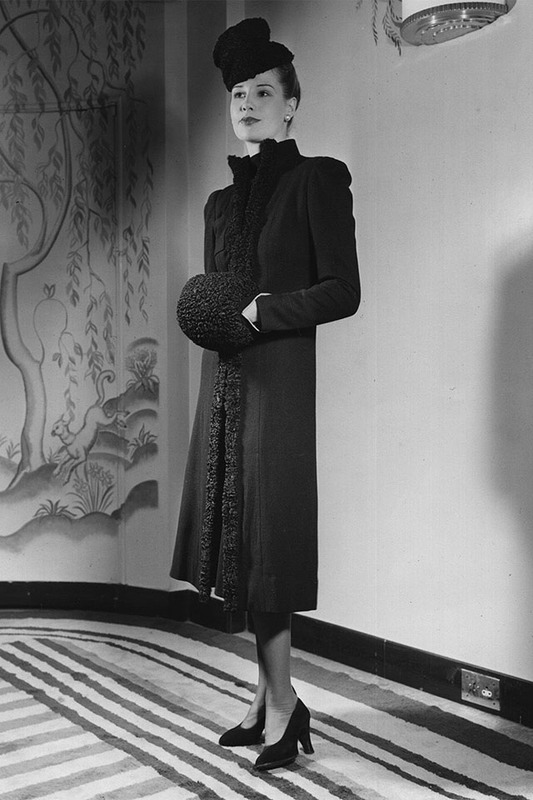 A model at an International Wool Secretariat fashion show at Claridge's Hotel London. 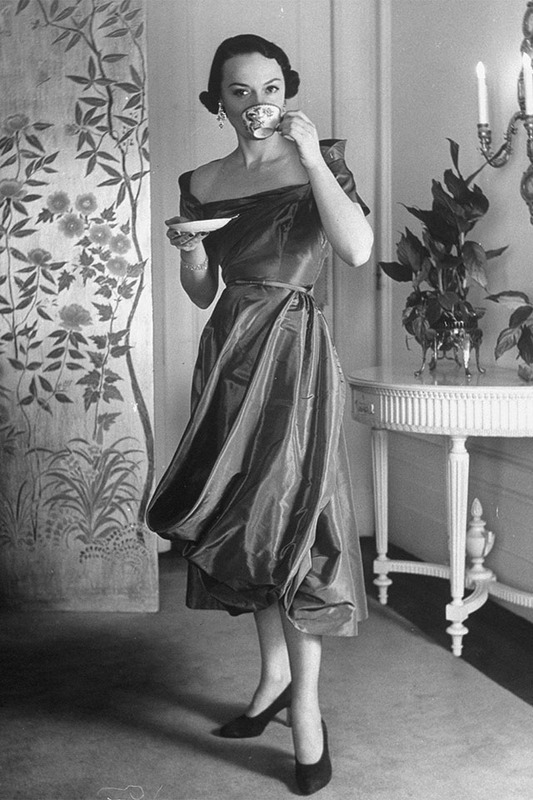 A model posing in a Ceil Chapman cocktail dress. 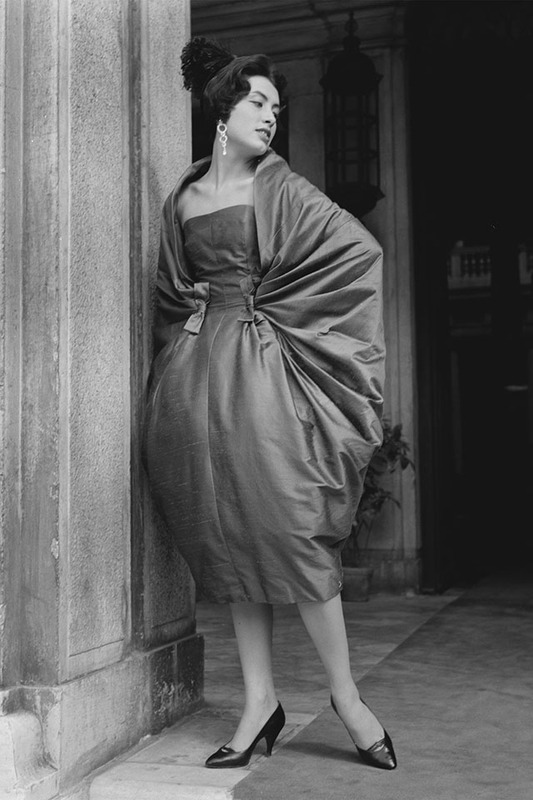 A model posing in a Vera Maxwell dress. 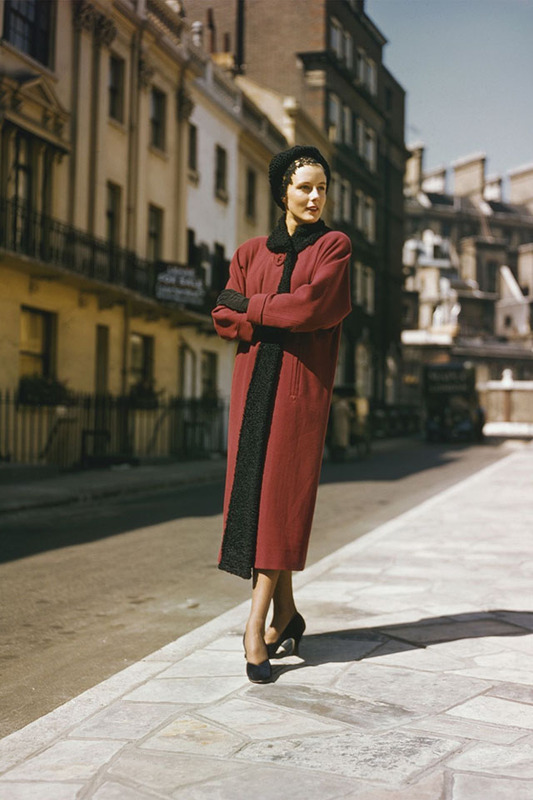 Model wearing matching dress and coat. 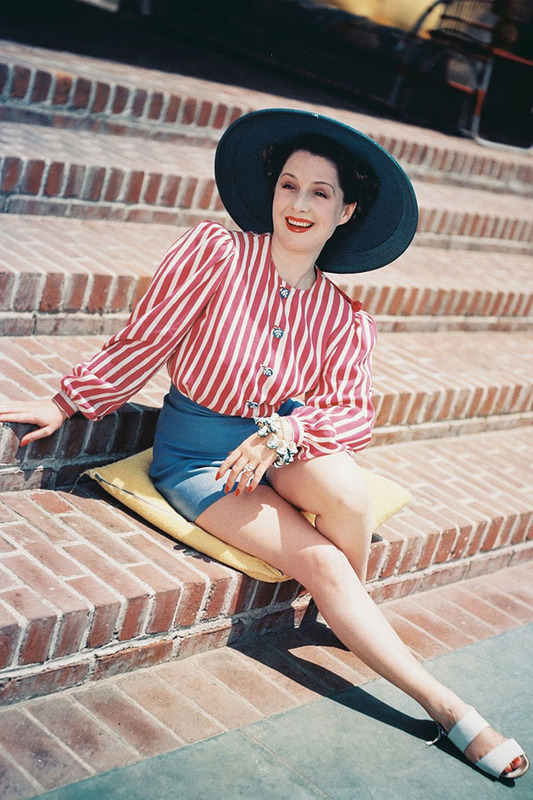 Canadian film actress Norma Shearer posing in a summer look. 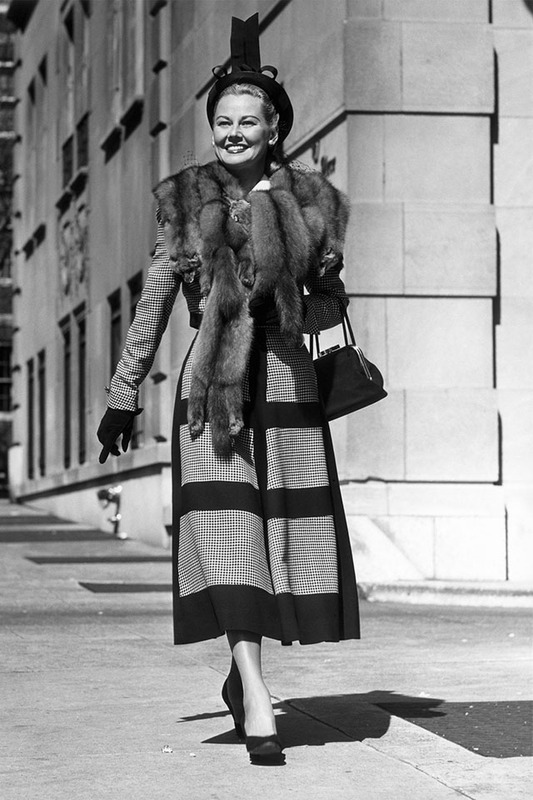 A woman wears a print dress and fur while walking down a New York street. 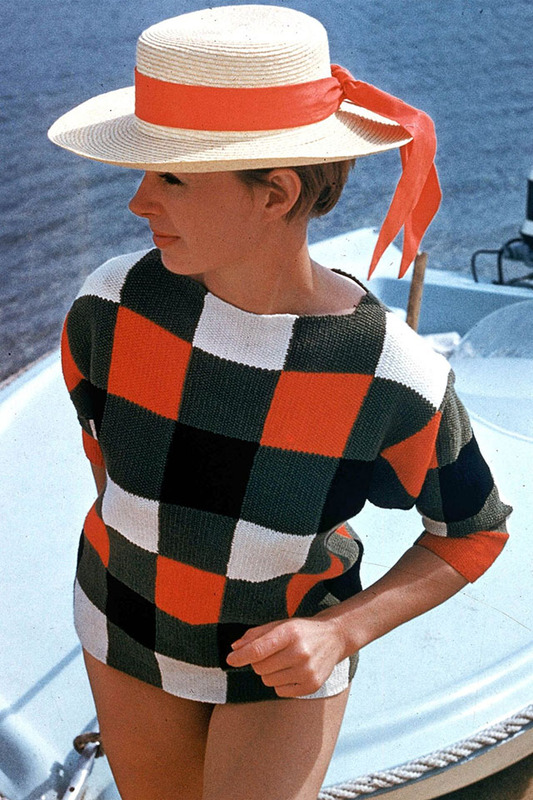 Sue Turner photographed in Saint Tropez. 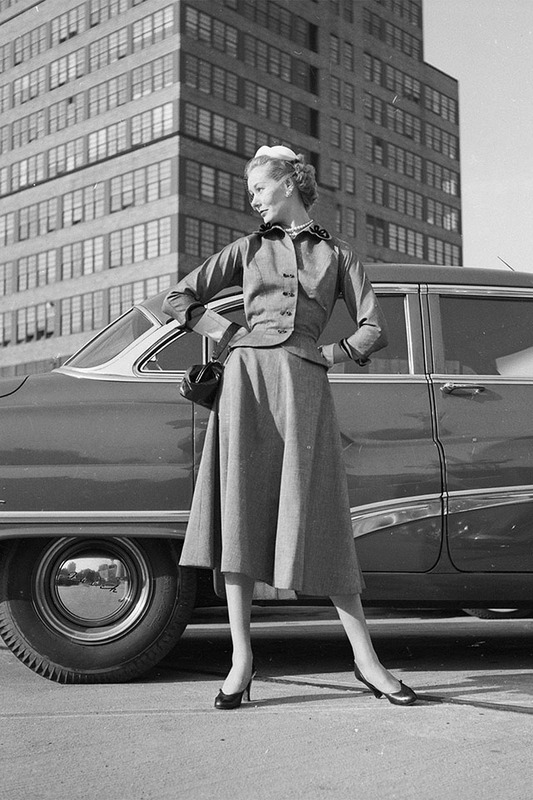 A woman poses alongside a pink car in her coordinating sweater and skirt. 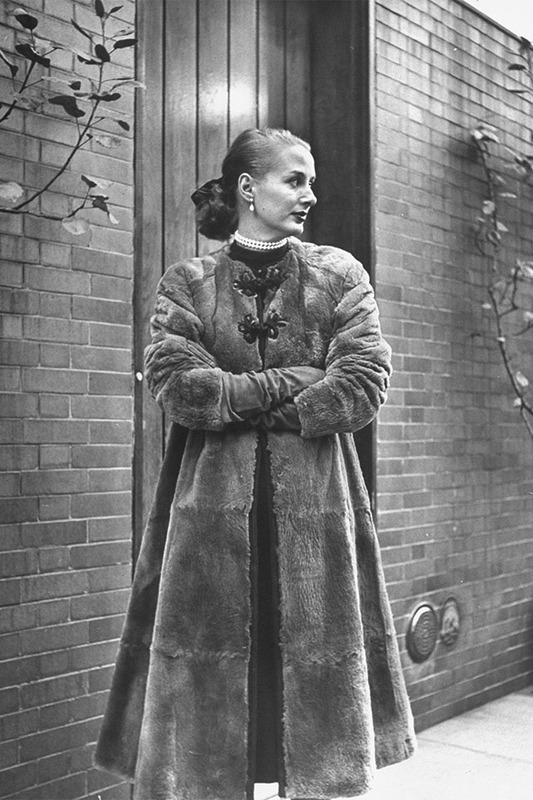 A model posing in a long red winter coat. 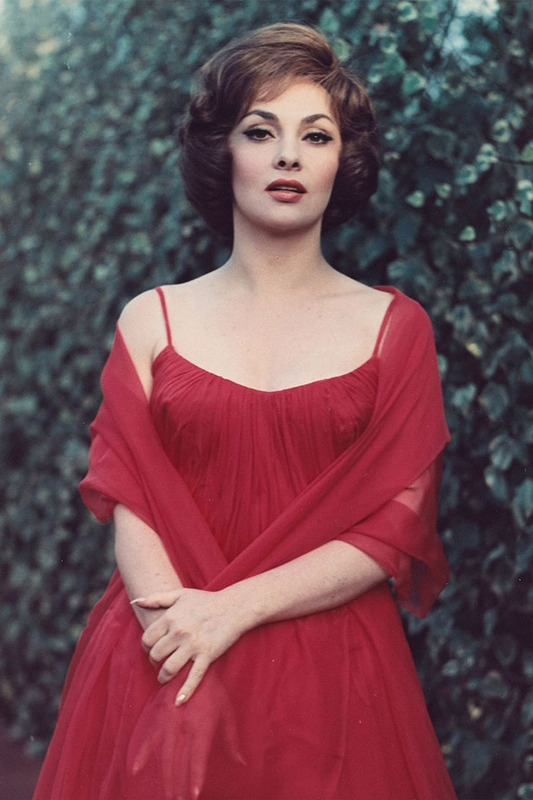 Italian actress Gina Lollobrigida poses in a red dress. 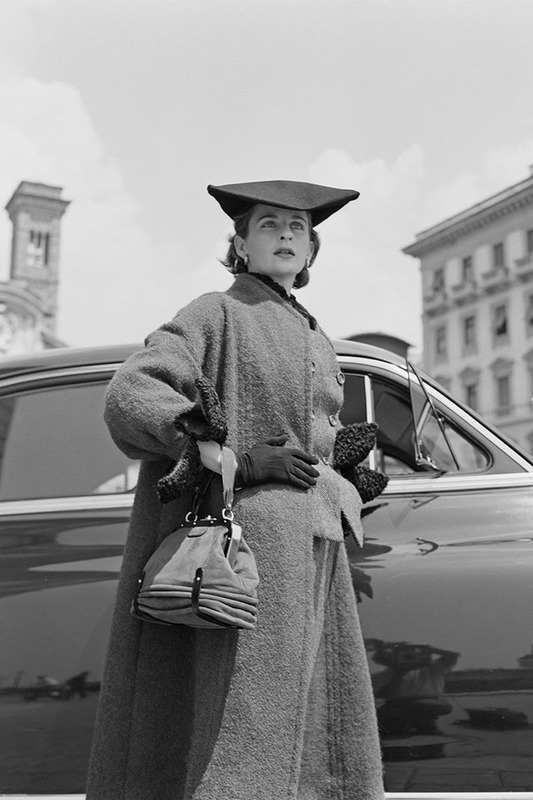 A model wearing a coat with fur collar and hat. 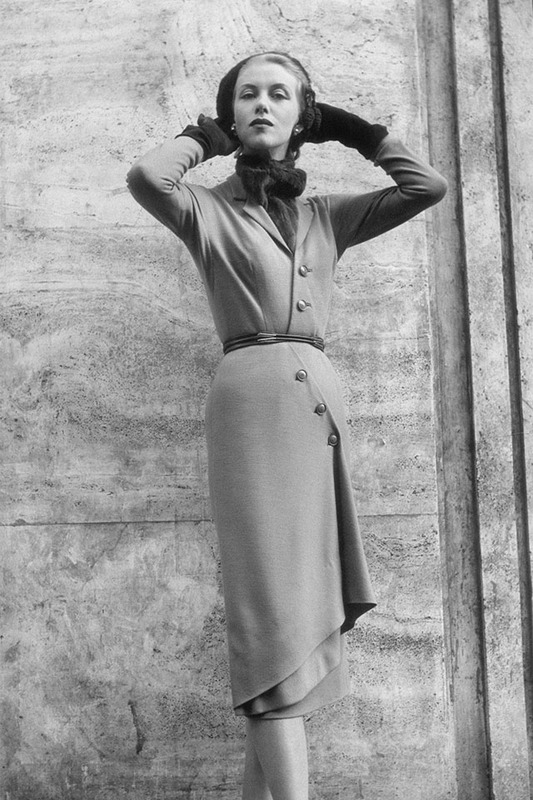 A model wearing a high-necked dress and gloves. 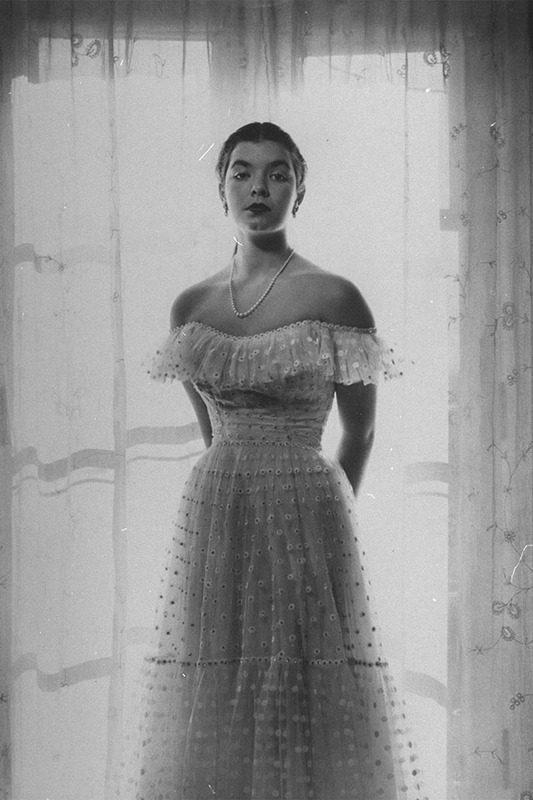 A model wearing a dress by Noberasco. 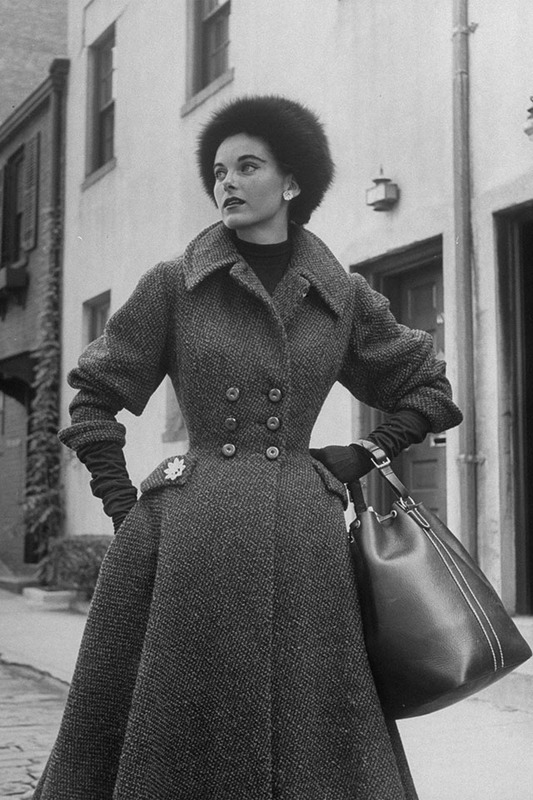 A woman modeling college fashion. 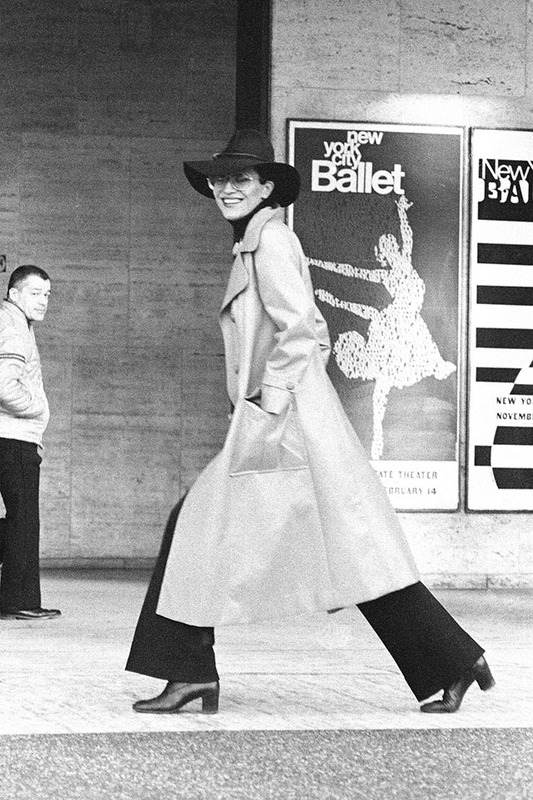 Model Elsa Peretti spotted in New York City. 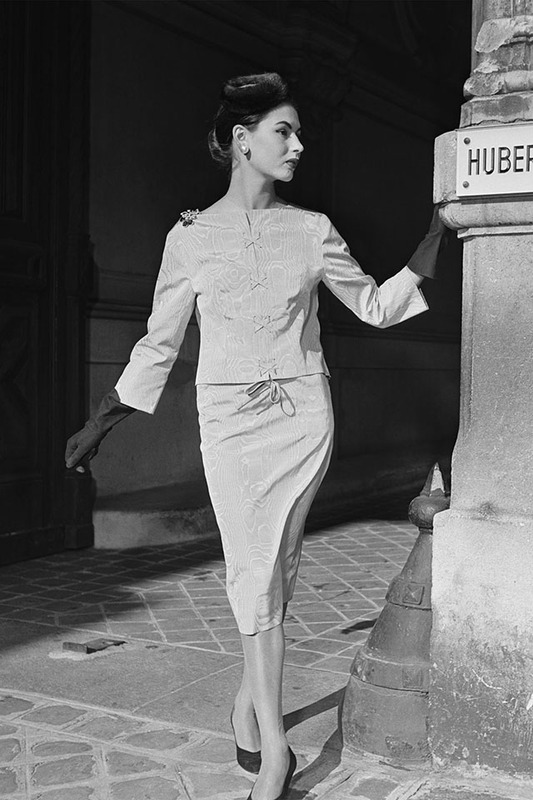 A Hubert de Givenchy look in Paris. 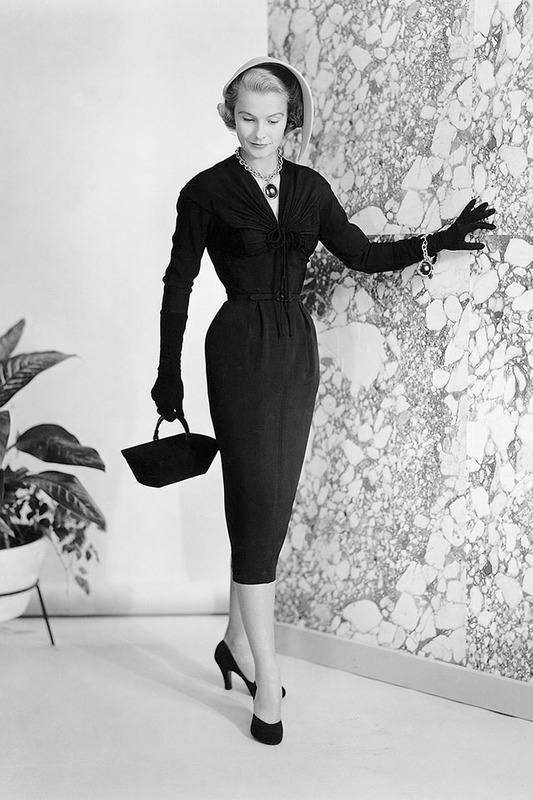 A little black dress designed by Nettie Rosenstein. 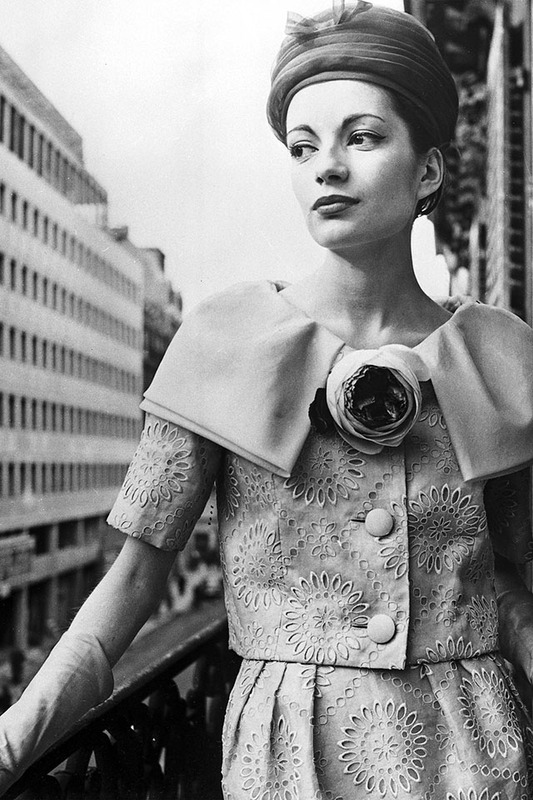 A model in a Seymour Fox-designed look. 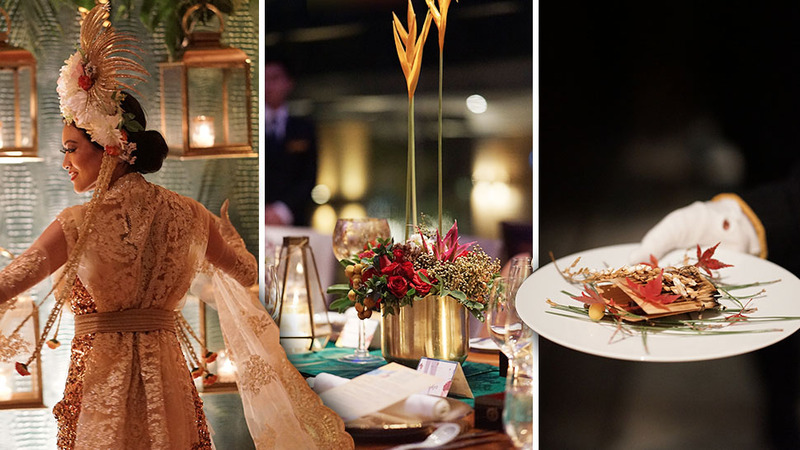 A fashion shoot for Harper's BAZAAR. 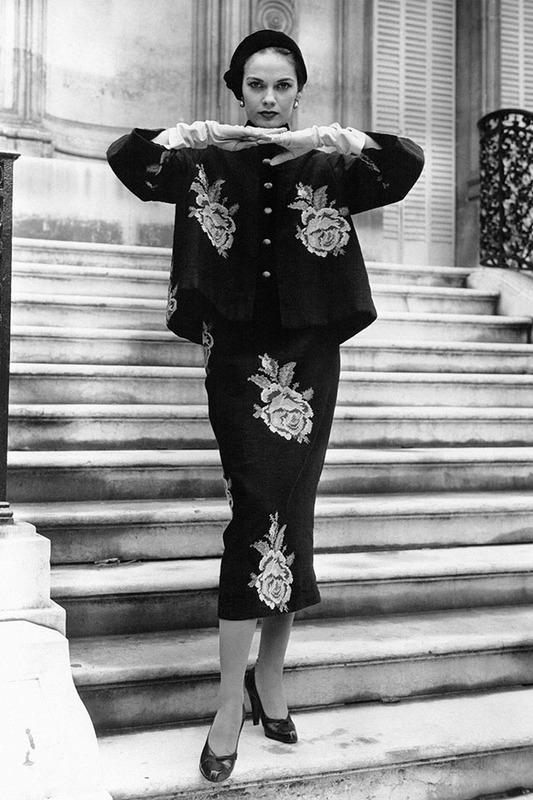 A model poses in a jumpsuit and sandals. 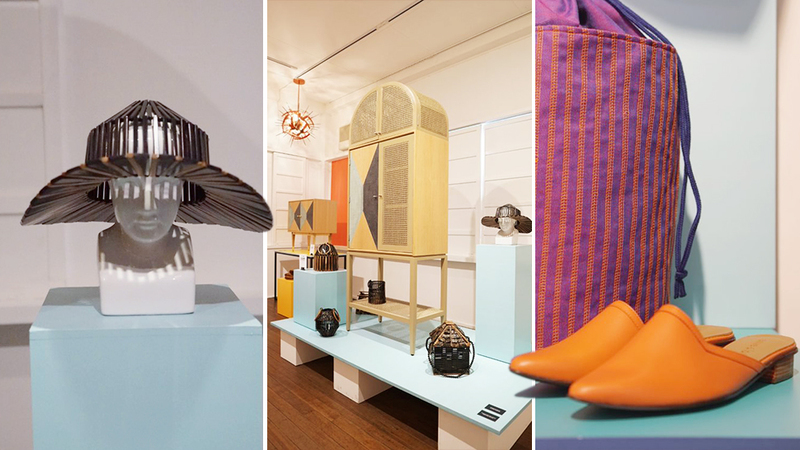 A yellow wool coat designed by Alex Gres. 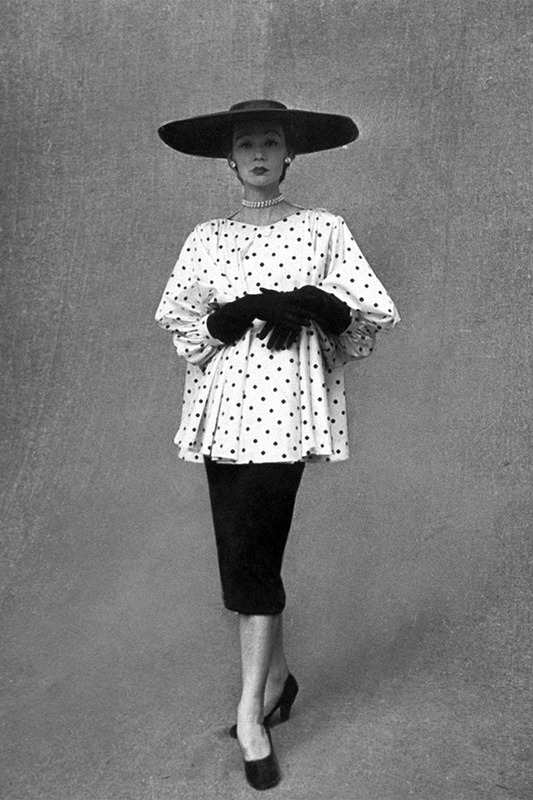 A polka dot look by Balenciaga. 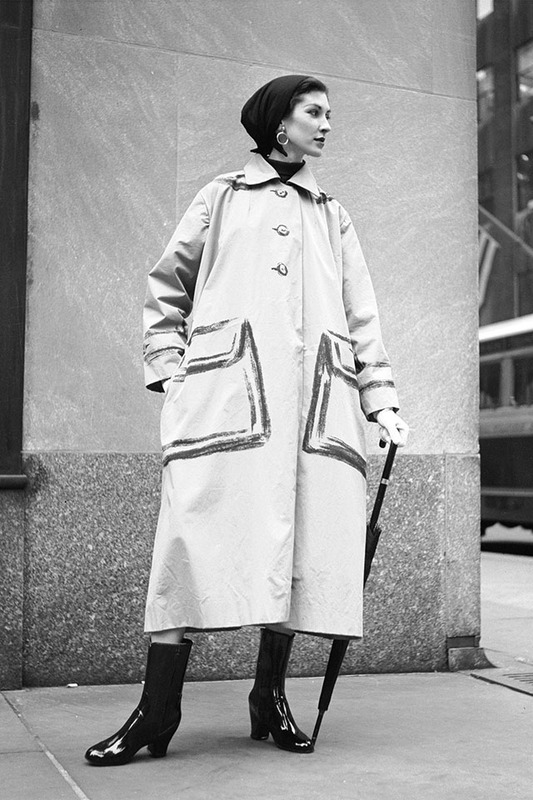 A woman in a tweed coat and fur hat. 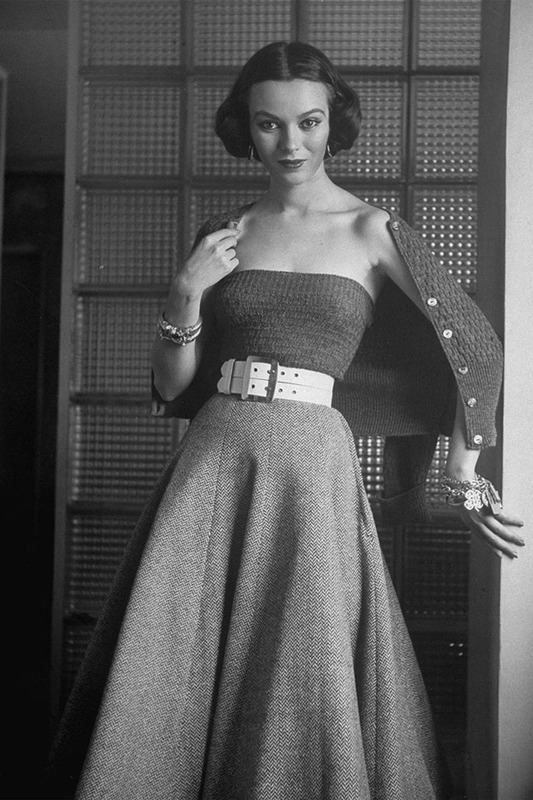 A model wears a tweed fashion look. 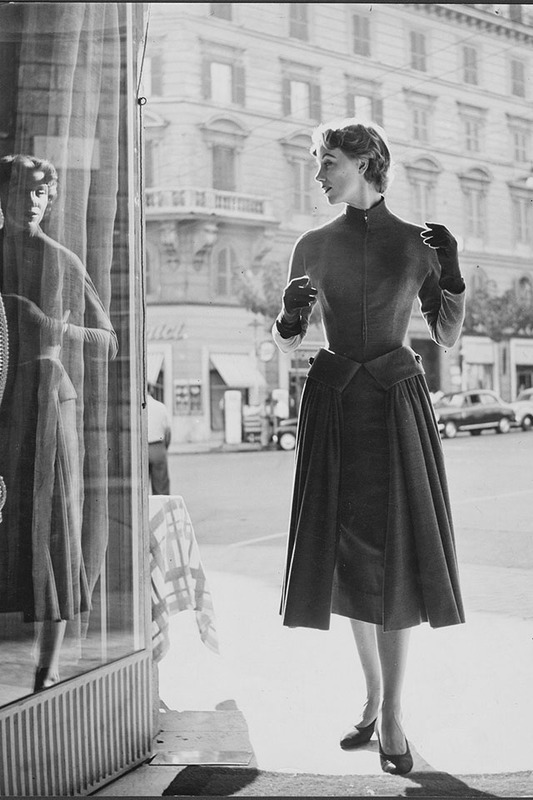 A Christian Dior look spotted in Venice, Italy. 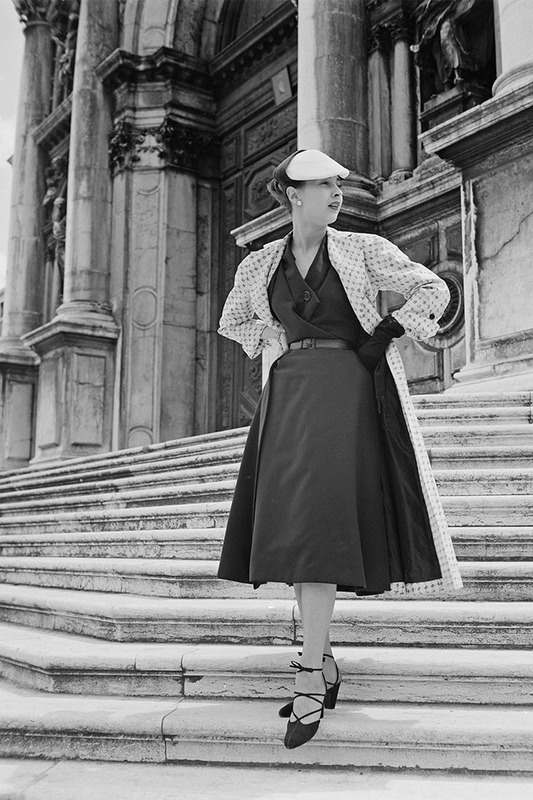 A model in a Christian Dior outfit outside the Santa Maria Della Salute church in Venice. 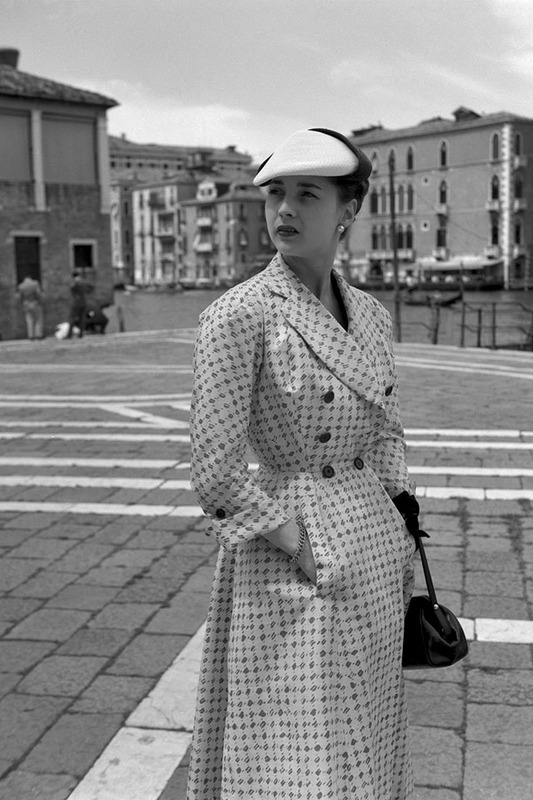 A Christian Dior model in Venice, Italy. 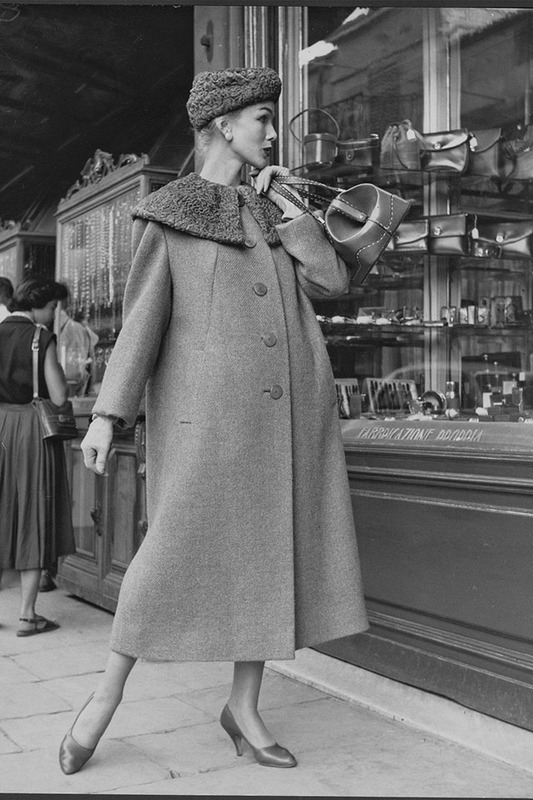 A model in an Hermes Trompe-l'Oeil raincoat in Paris. 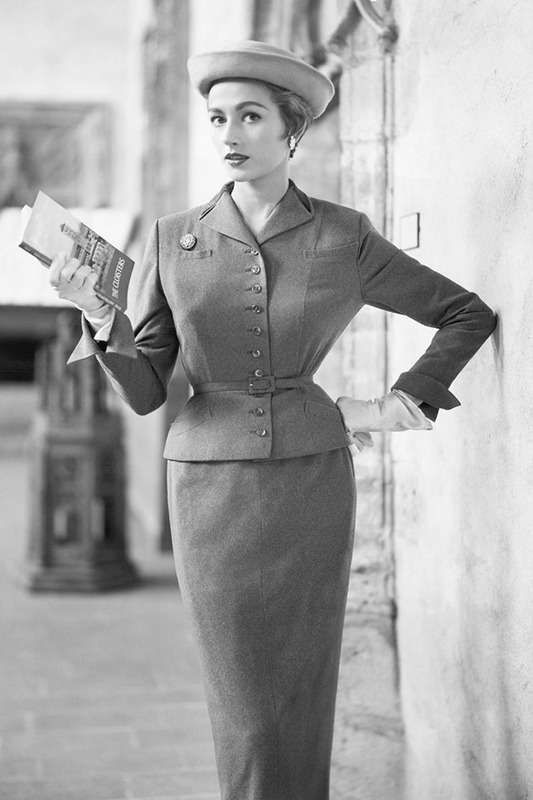 A model wearing Italian fashion. 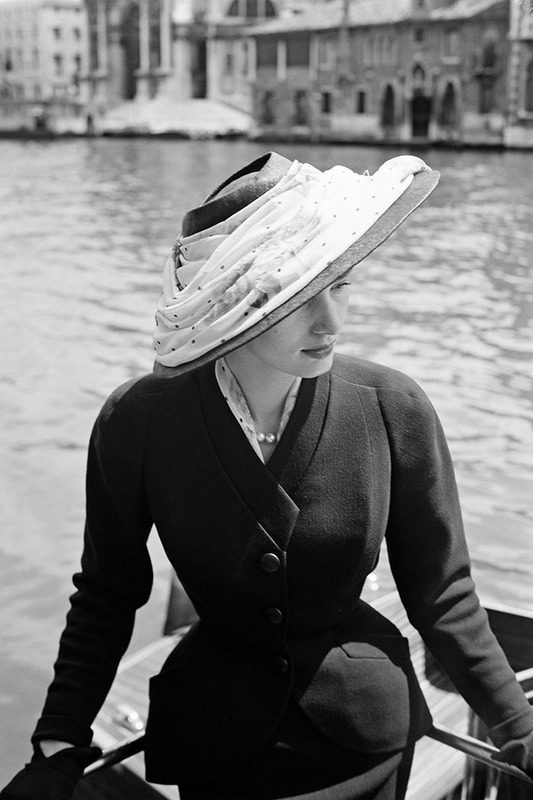 A model wearing Christian Dior in Venice. 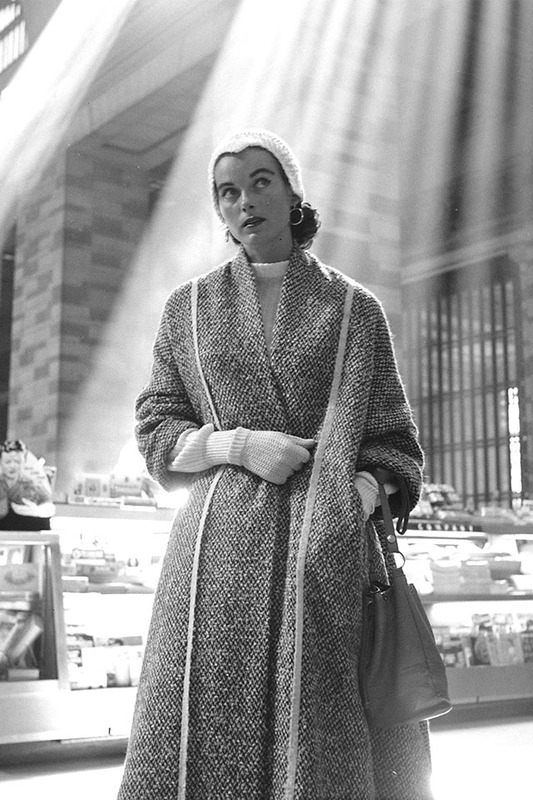 A model in a tweed coat, knit gloves, and cap in Grand Central Terminal, New York. 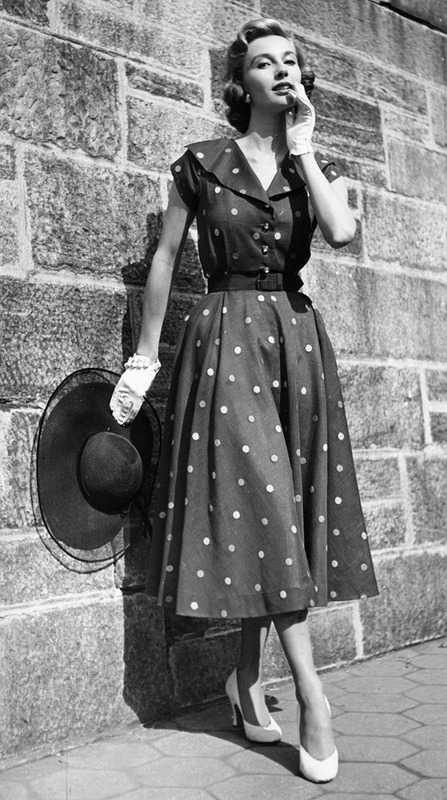 A model in a yellow polka-dotted summer dress. 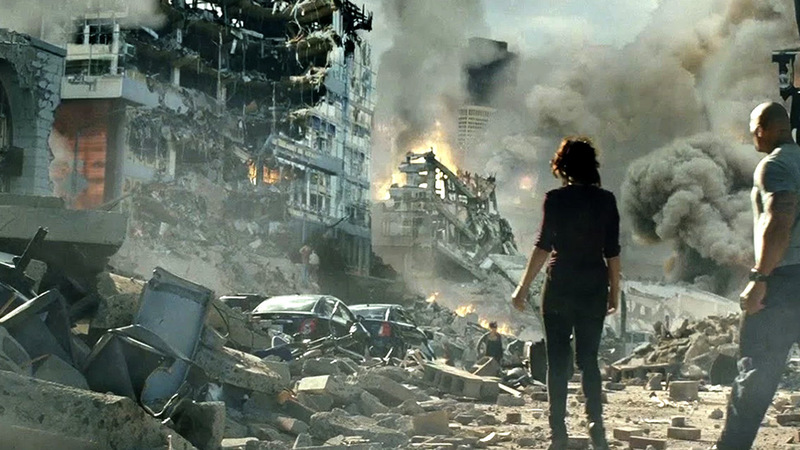 A model in New York. 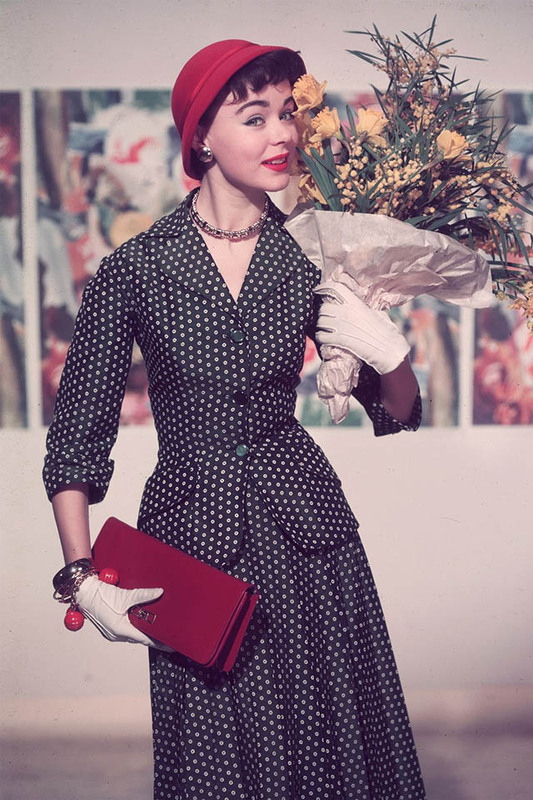 A patterned summer suit with white gloves and red accessories. 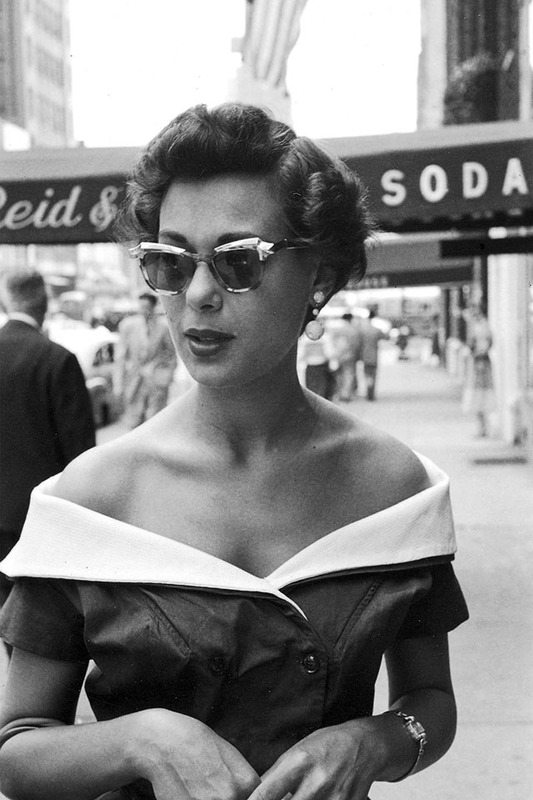 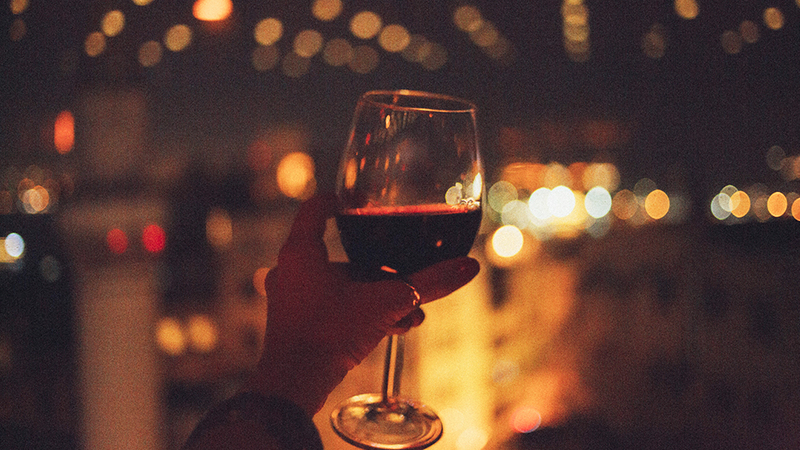 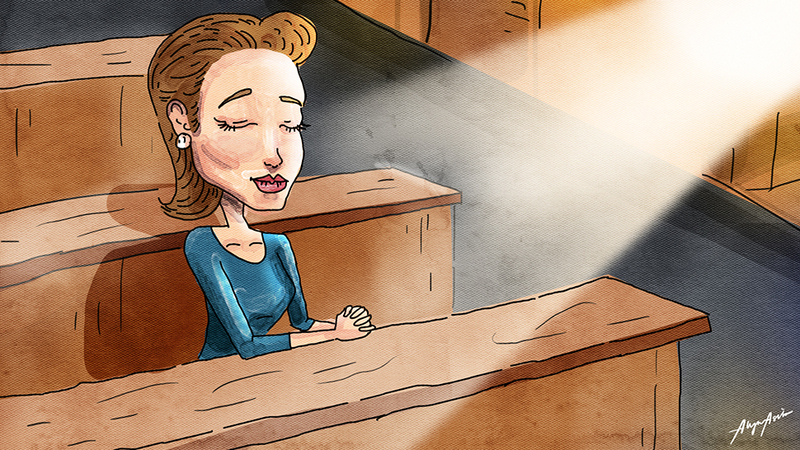 A young woman in New York City. 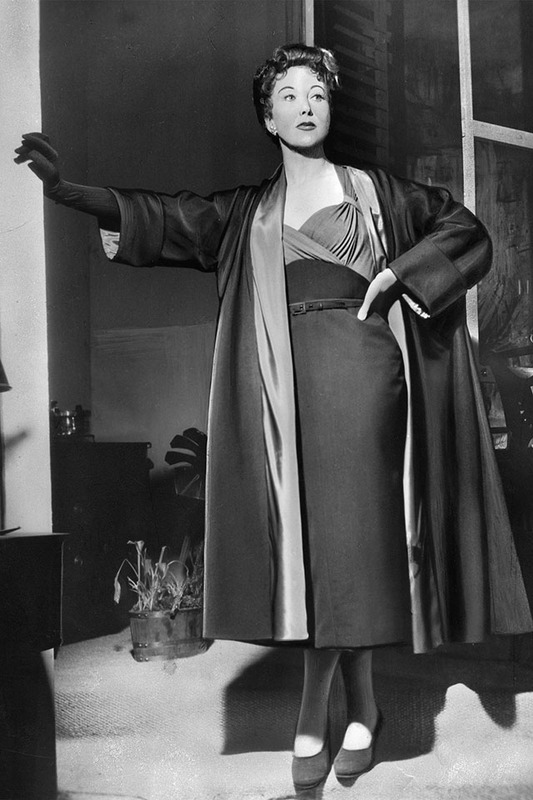 Alice Treff in a two-colored dress and a silk summer jacket. 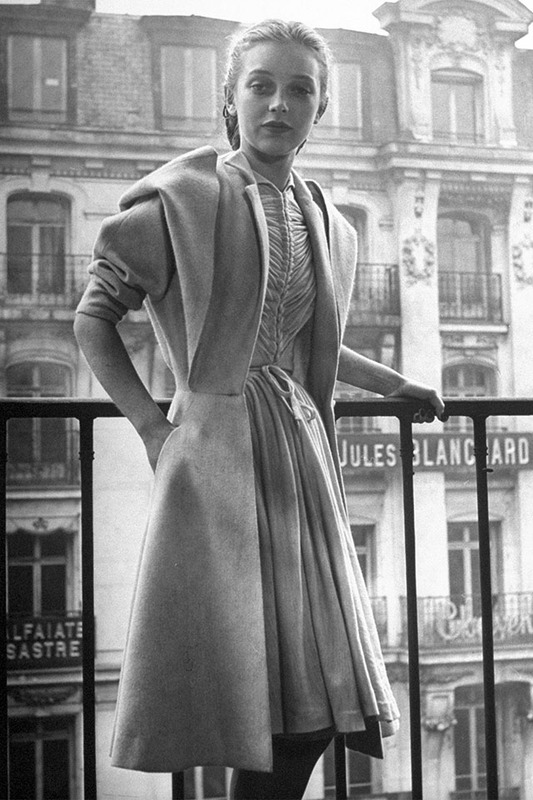 A model at the Jacques Fath presentation in Paris. 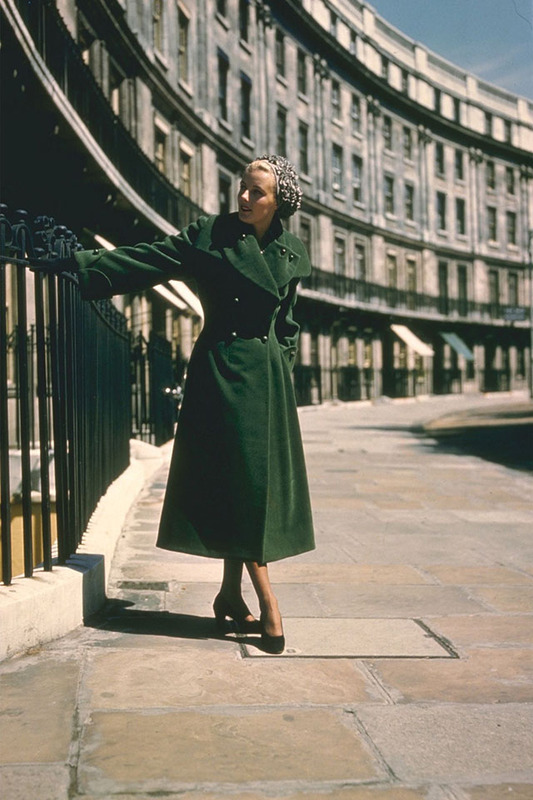 A woman wearing a green velvet coat in a Georgian crescent. 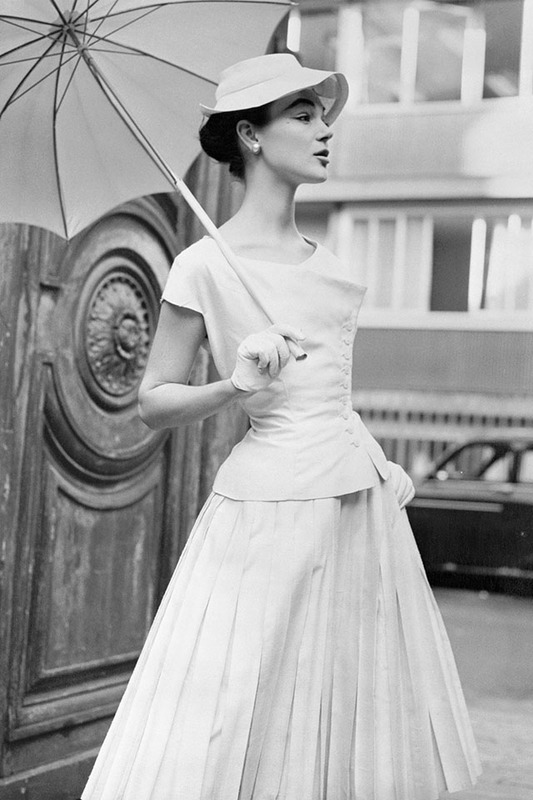 A woman models a summer dress and a parasol. 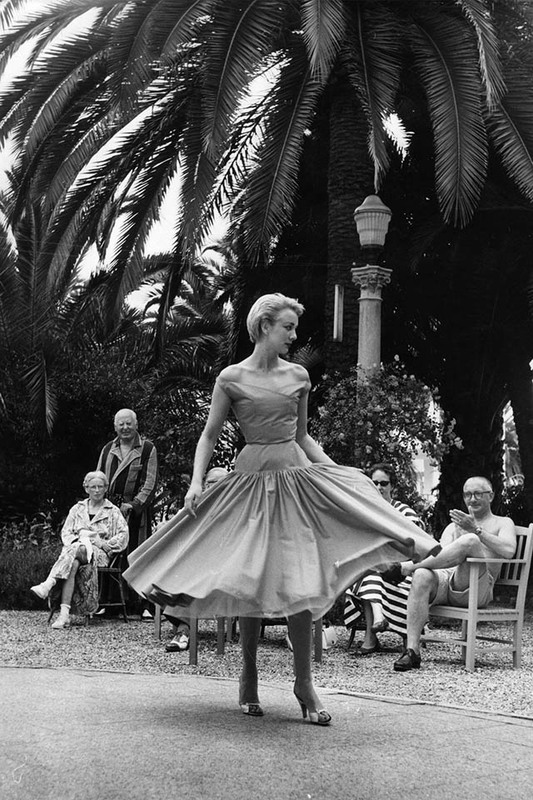 British model Jean wearing a summer dress in the gardens of the Hotel Mediterraneo, San Remo. 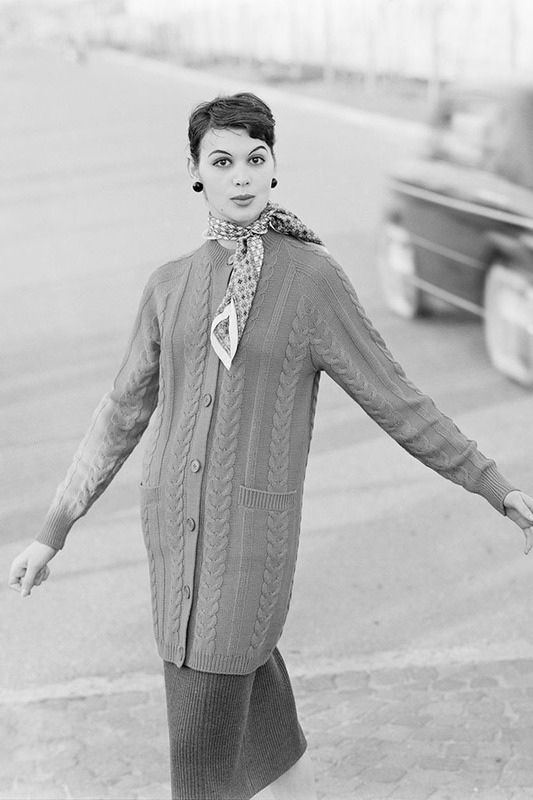 A model wearing a knitted cardigan with a neckerchief in Italy. 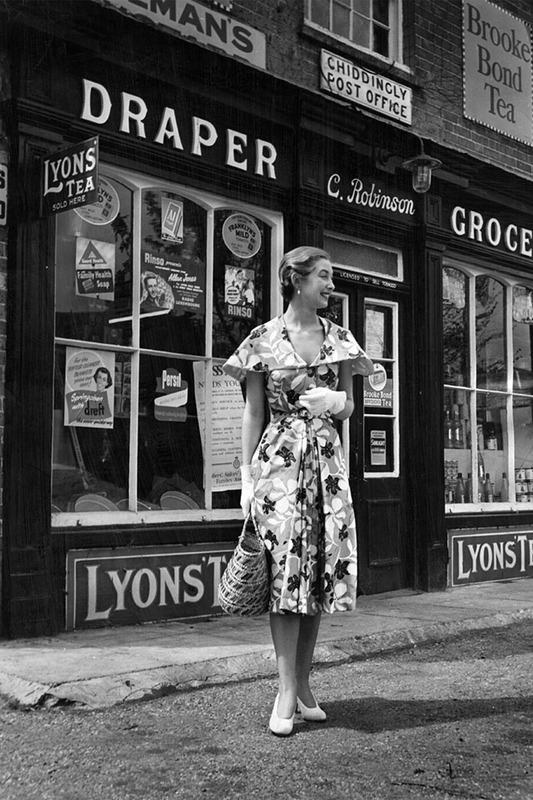 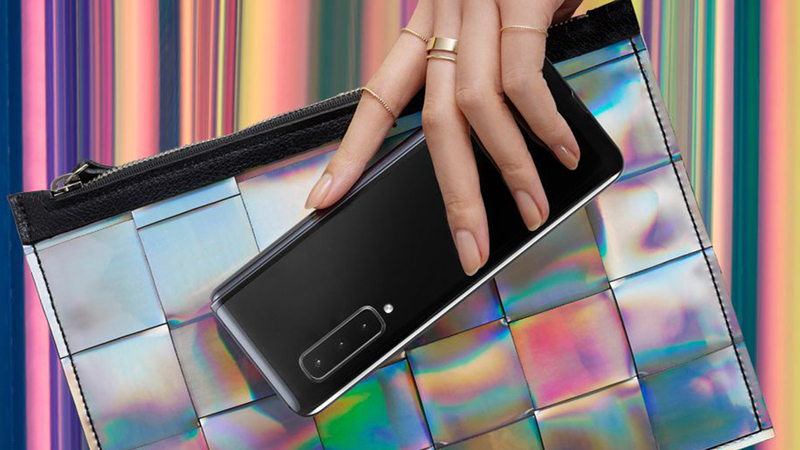 A woman modeling 'Rondo.' 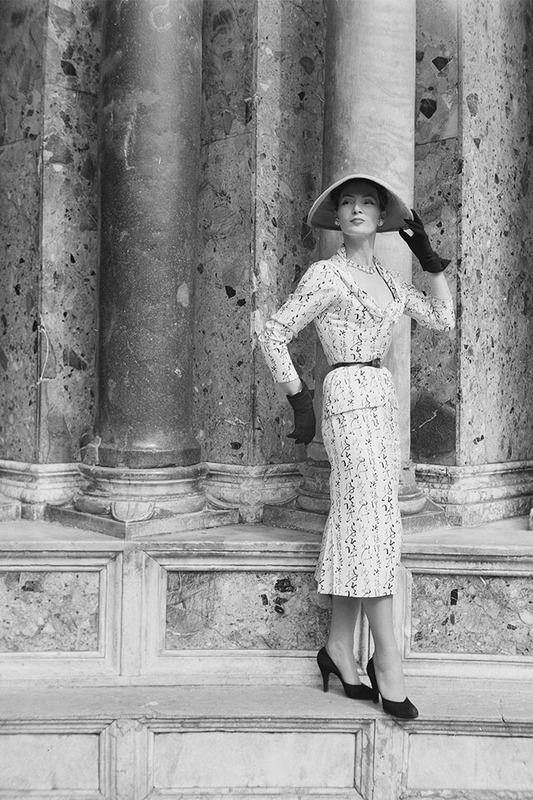 a dress by Italian designer Simonetta, outside the Palazzo Grassi in Venice. 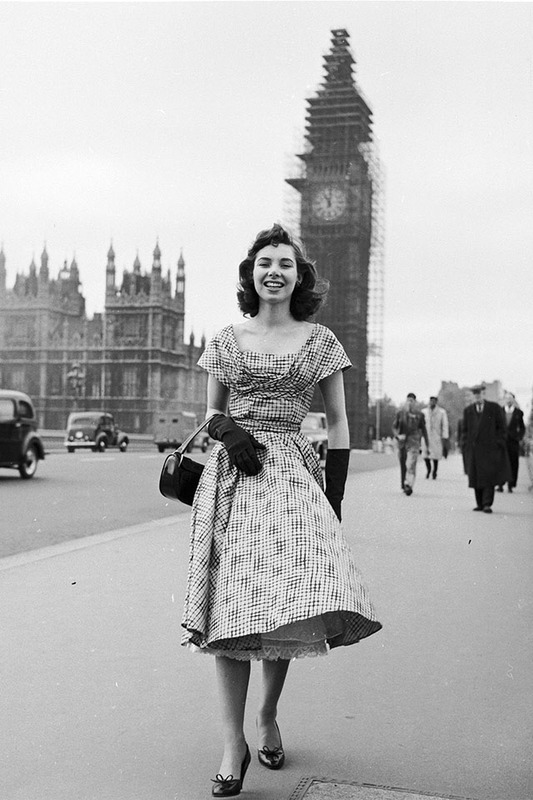 Marigold Russell models a new outfit outside London's Big Ben. 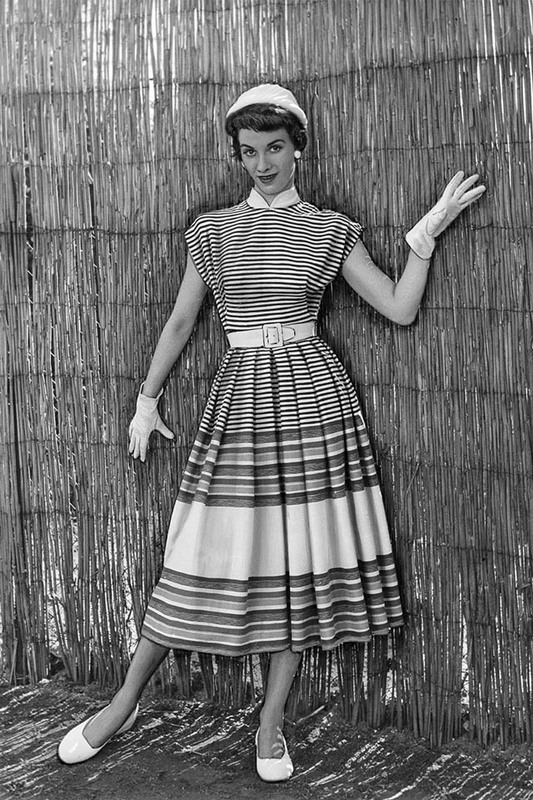 A German model in a summer outfit. 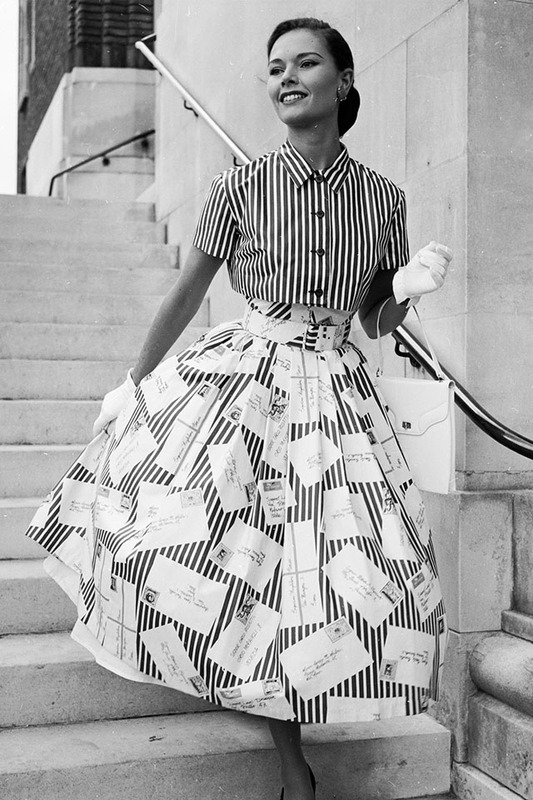 A woman in a striped button-down and full circle skirt. 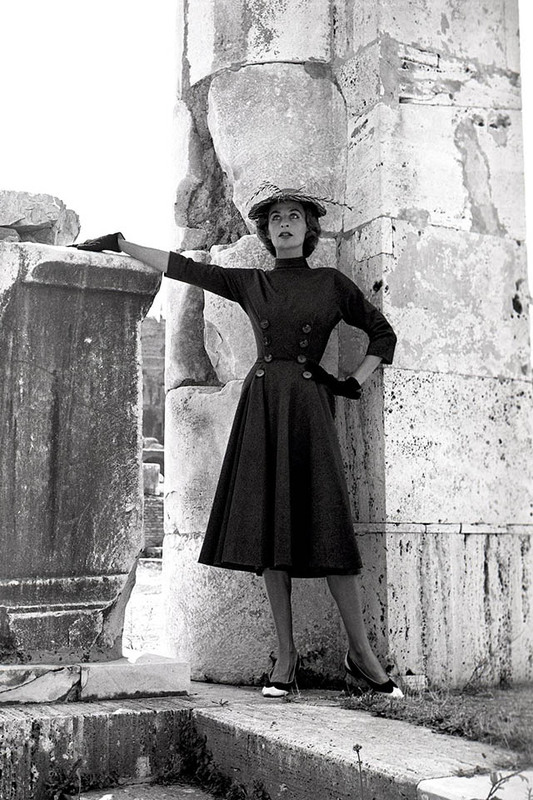 Suzy Parker poses for a photo call. 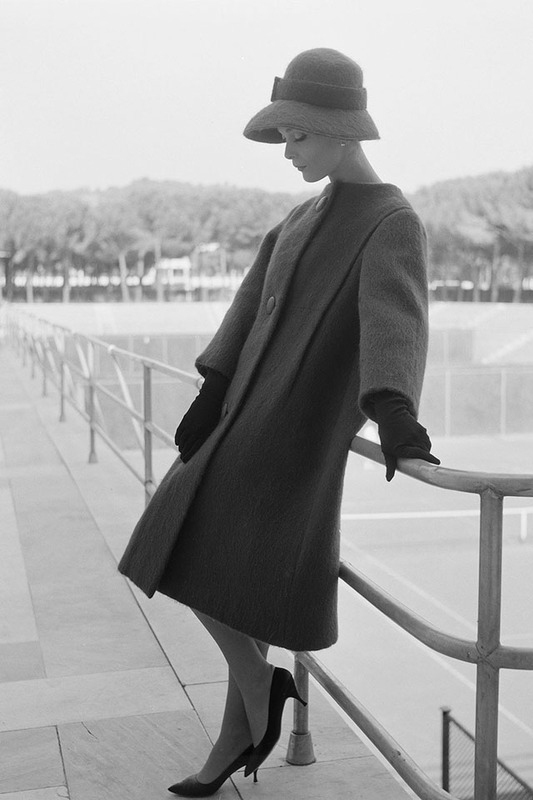 A woman modeling a winter coat and matching hat in Rome. 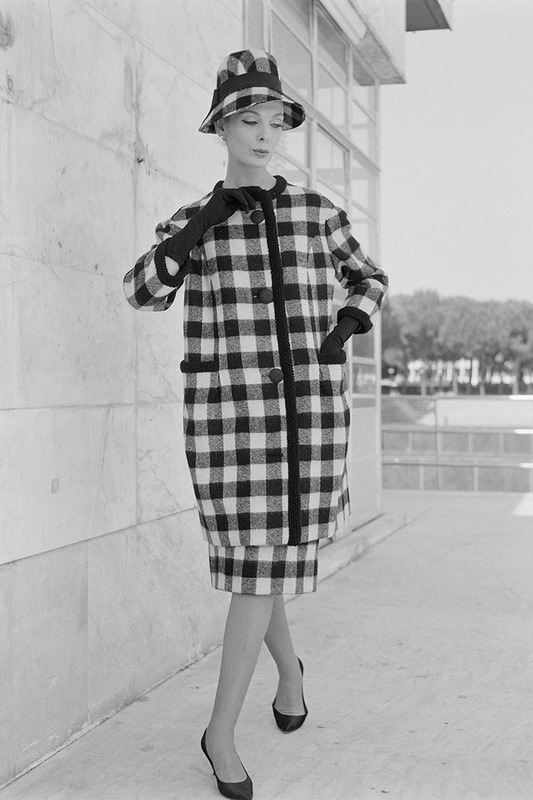 A woman modeling a checked winter coat and matching hat in Rome. 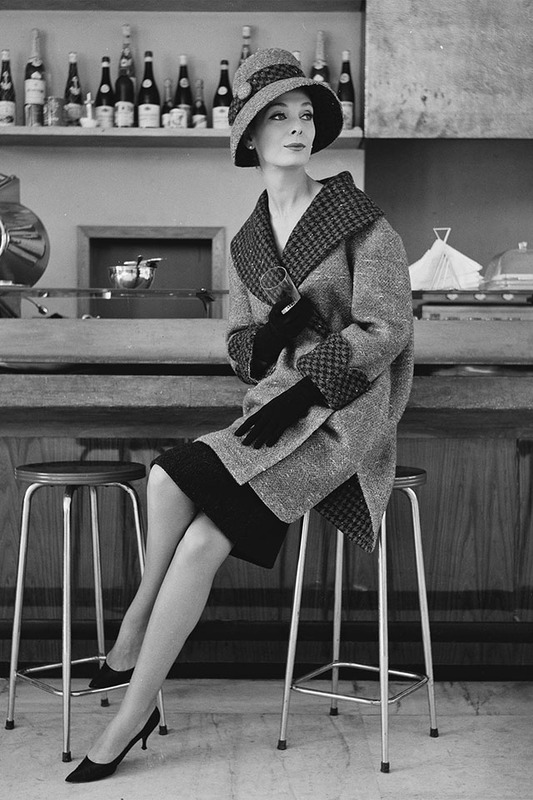 A woman modeling a winter coat with houndstooth trim and matching hat in Rome. 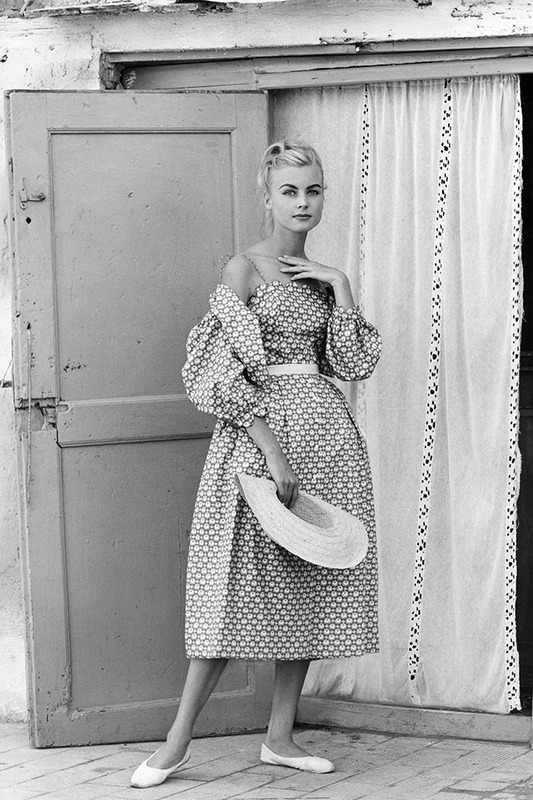 A model shows off beach fashion in a print dress, ballet flats and a straw hat. 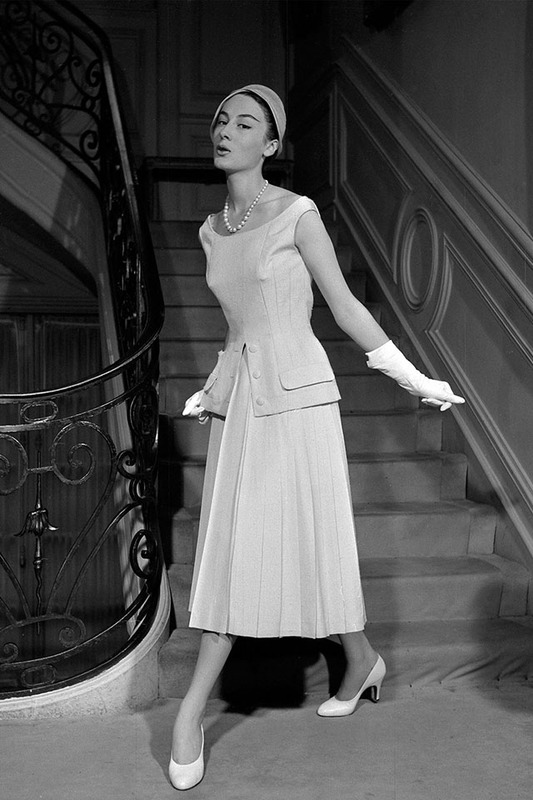 The Spring/Summer 1958 presentation of Pierre Cardin. 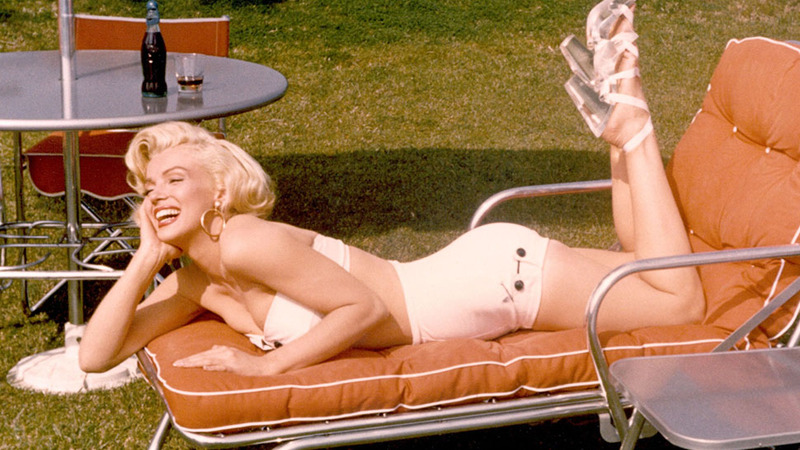 A model wears summer beach clothes during a presentation.